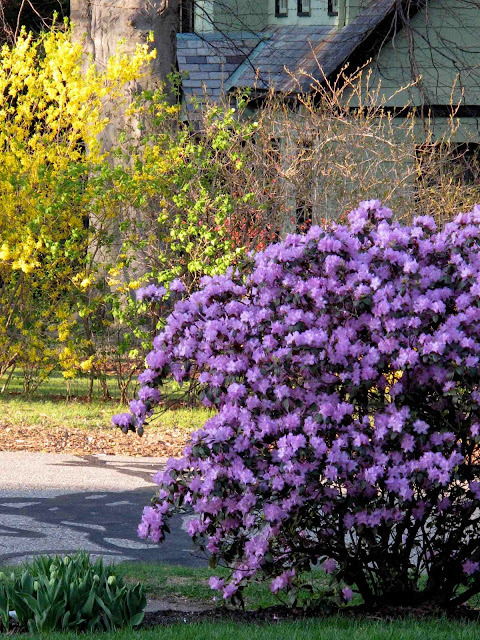 The first spring rhododendron that blooms in New England flowered this past week. 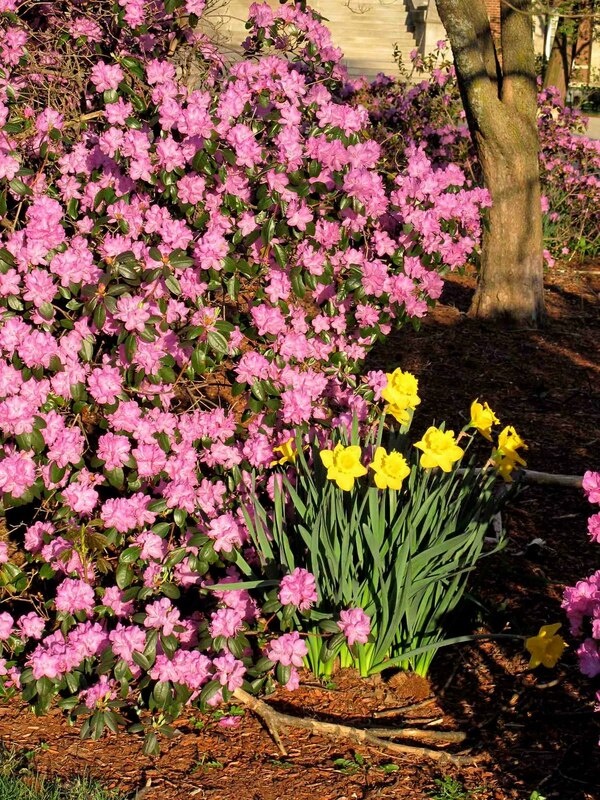 It is a hydrid called PJM that is everywhere, its popularity entrenched by the fact that it blooms weeks before most other azaleas and rhododendrons -- an easy hardy plant. The PJM was hybridized by Ed Mezitt in Weston, Massachusetts, in the fall of 1945. Ed named the new plant PJM in honor of his father, Peter J. Mezitt, the following spring. The father Peter had received a plant specimen (believed to be R. dauricum) collected by missionaries in the mountainous region between Mongolia and Kazakhstan (the 19th century was the heyday of missionary/botanist collecting in Asia). Ed crossed this plant with R. minus Carolinianum. 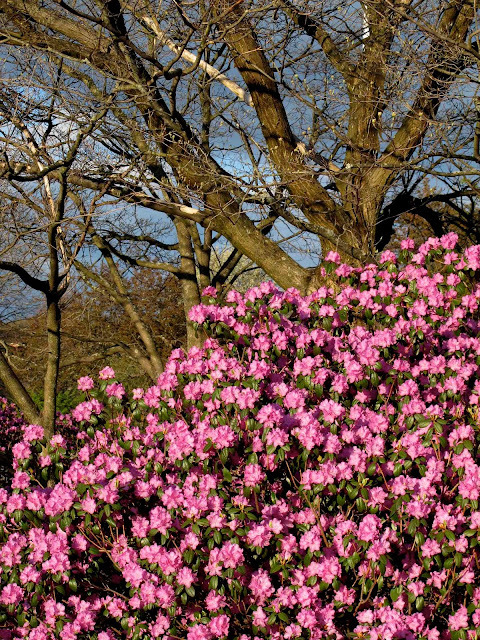 The American Rhododendron Society speculates that the PJM Group is probably the most widely planted rhododendron in the United States today. With all the forsythia and daffodils blooming at the same time, pink and yellow never looked so good together. "It's so McKim, Mead and Depot"
How can I have enough of life and love?